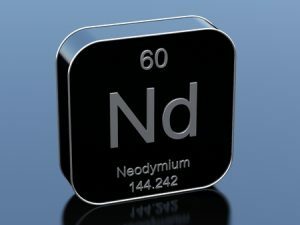 How Neodymium Rare Earth Magnets Help Industrial Businesses | IPES International, Inc.
First developed in the 1970s and first introduced for industrial use in the 1980s, rare earth Neodymium magnets, also known as NdFeB, are high-powered magnets that are capable of picking up heavy items despite their relatively small size. There are three main types of rare earth Neodymium magnets, including regular Neodymium magnets, high corrosion resistant Neodymium magnets, and bonded Neodymium magnets. Rare earth Neodymium magnets have grown in popularity over the course of the last 30 years or so due in large part to their strength. But they’ve also become popular because of their high temperature resistance. They can hold up in temperatures exceeding 200 degrees Celsius and maintain their durability in the process. This has made them useful for those working in industrial conditions. Some types of rare earth Neodymium magnets will show signs of corrosion under these types of conditions. But coating them with zinc, nickel, and more has proven to protect them. One of the other reasons why rare earth Neodymium magnets have become so popular is because they have found a home in so many different industries. Those in the electronics world have utilized rare earth Neodymium magnets in hard drives, sensors, and more. Those in the automobile industry have found a place for them in DC motors and in power steering applications. The medical field has used rare earth Neodymium magnets in certain MRI equipment and in scanners. What’s more, you’ll even find rare earth Neodymium magnets in wind turbines within the clean technology energy sector. At IPES International, we use rare earth Neodymium magnets to create magnetic floor sweepers and brooms. Our sweepers and brooms can be attached directly to forklifts, yard trucks, and other vehicles to provide you with the magnetic power your company needs. Call us at 412-781-4660 today to see how our magnetic floor sweepers and brooms can benefit your business.